This name does not appear in the long lists of Jewish names in pre-Islamic Arabia, nor does it occur among the Jews in general until the twelfth century. 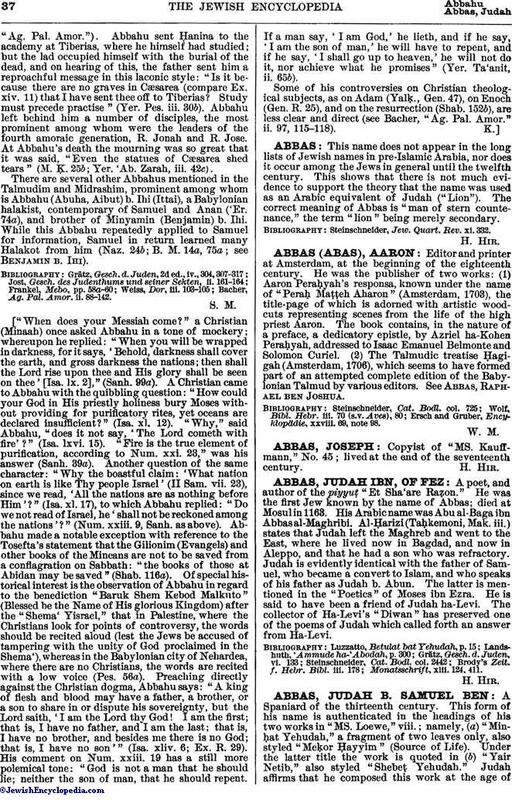 This shows that there is not much evidence to support the theory that the name was used as an Arabic equivalent of Judah ("Lion"). The correct meaning of Abbas is "man of stern countenance," the term "lion" being merely secondary. Steinschneider, Jew. Quart. Rev. xi. 332.